Parent’s Universal Resource Experts, Inc. (P.U.R.E.™) was founded in 2001 by author and parent advocate, Sue Scheff. Since that time, P.U.R.E.™ has provided over 100,000 families with valuable information and resources for their at risk children and teens. 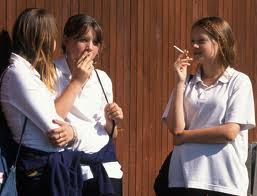 These are teens who are struggling with peer pressure, experimenting with drugs and alcohol, and are simply good kids starting to make bad choices. We have many very satisfied families who have used our services. Call today for a free consultation or visit www.helpyourteens.com for more information. Fill out a contact form. With back to school around the corner, the concern of bullying and cyberbullying is on many parents minds. Whenever you are being harassed or bullied online, especially if virtual violence or otherwise is involved, being able to tell someone is imperative. With younger people we encourage them to tell their parents, however we know at times this can be difficult. They fear their will lose their online privileges or not be taken seriously. In a report by Unicef the majority of adolescents polled said the would turn to a friend, and that’s okay. As long as you tell someone. 54% said they would tell a friend.48% said they would tell a parent.19% said they would tell a teacher.